This article walks you through building an Inventory Manager app, allowing you to track current inventory levels for your products. Current inventory is updated by tracking incoming shipments and outgoing orders. 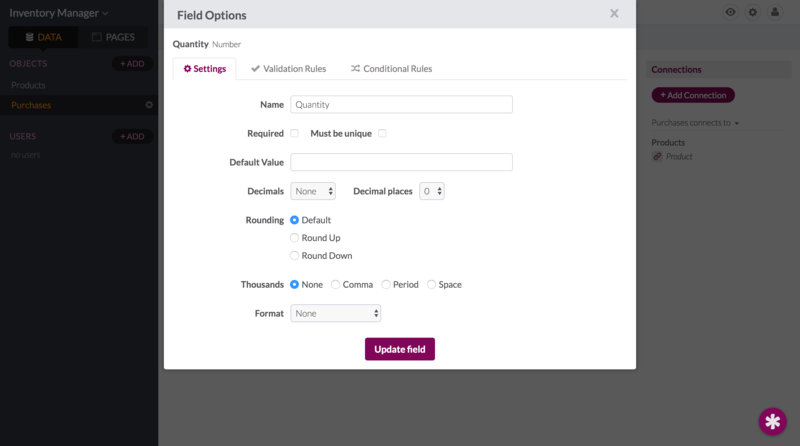 The main feature is using Parent-Child Connections and Formulas to aggregate total inventory received from incoming shipments and compare it against total inventory fulfilled via orders. You will be adding several objects to store different kinds of records. Think of each object as its own spreadsheet. Add a Purchases object. This stores the details about each product purchase made towards your products. Add an Orders object. This stores all the details about each outgoing Order, such as the product needed and total quantity ordered. The Products object is going to need some Sum Formulas to total the quantity of Inventory Received and Inventory Sent. Now that the data is defined, it's time to build the pages for the live app, so others can use the app as well. This page manages the Product records. From Pages, add a new page and select the Products object. When it comes down to selecting the view types, you can select multiple views at once. 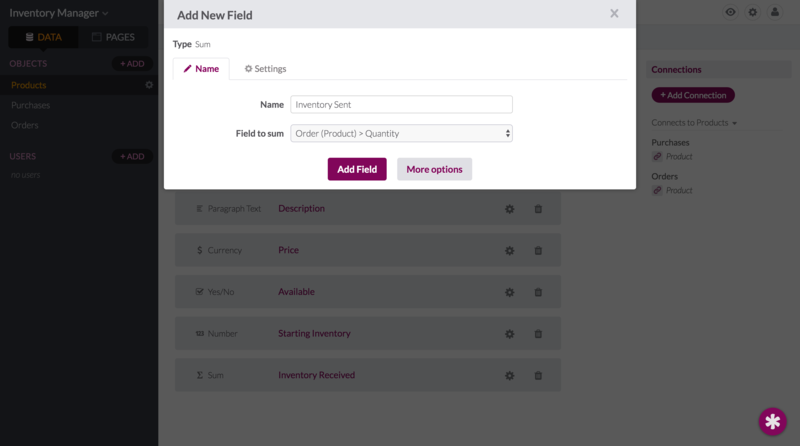 Select the Menu view with a form attached to add a new Product record. 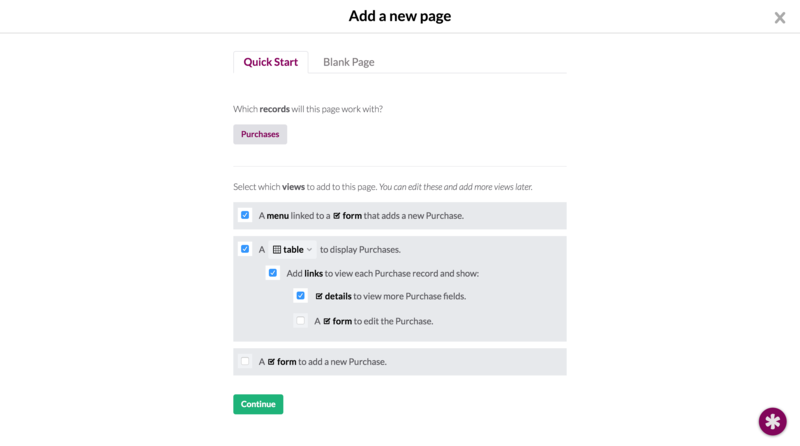 This page manages Purchase records. When you need to increase inventory for a specific Product, a new Purchase record must be created. Add a new page and select the Purchases object. This page manages Orders records. When you need to send a specific Product out, a new Order record must be created. Add a new page and select the Orders object.